Restaurant: "The word exquisite comes to mind. In fact, it doesn’t just come to mind, it dominates my thoughts about Gauthier." – Richard Vines, Chief food critic at Bloomberg. 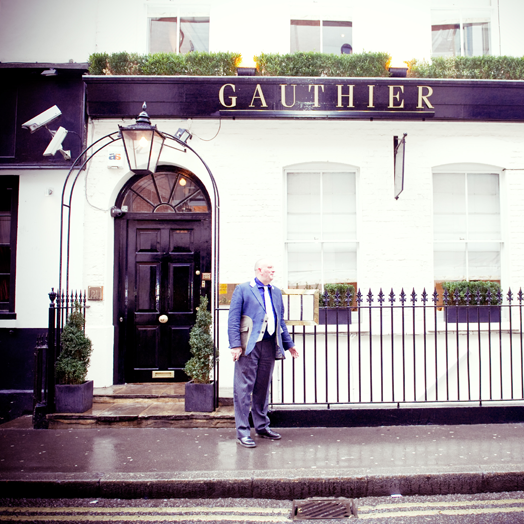 Gauthier Soho, specializes in light and modern seasonal French cooking. 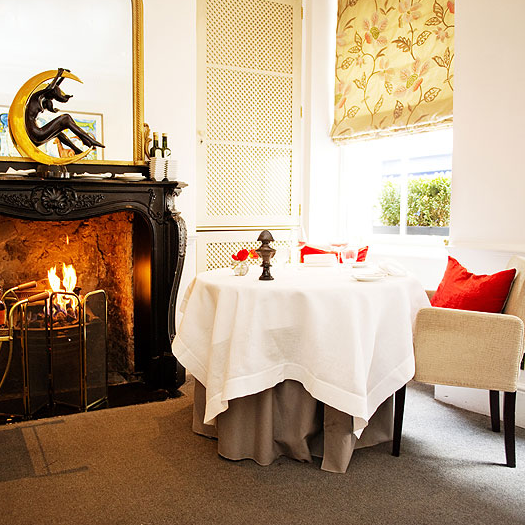 It provides pleasant service in its refined and discreet surroundings—a Regency townhouse in London's vibrant Soho district. 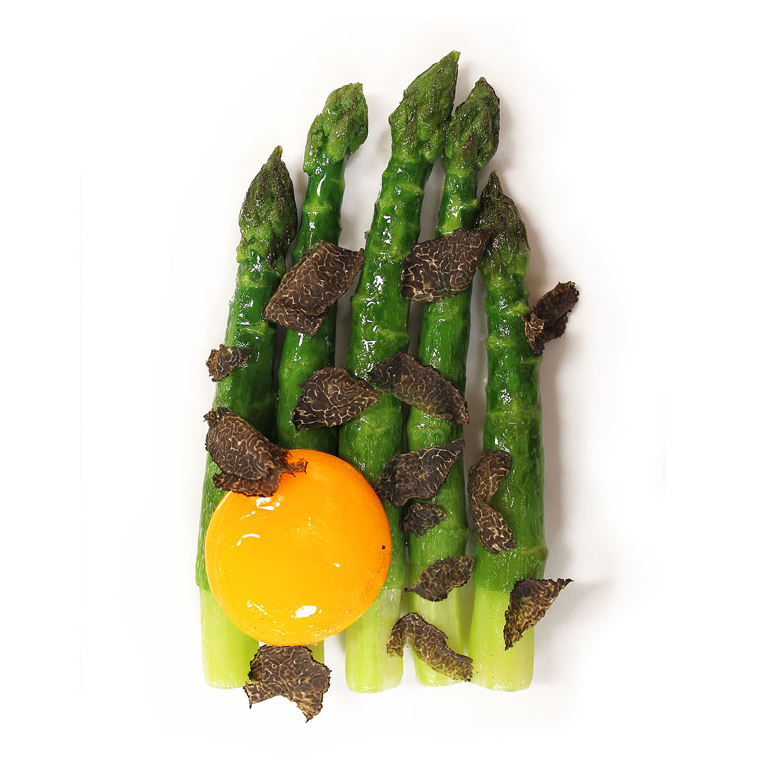 There Gauthier Soho strikes a delicate balance between such elements as “texture, mood, season, time of day, needs, cravings, appetite, and conscience.” Gauthier Soho is especially proud of its fresh and exceptional ingredients, sourced from all over Europe. Chef: Alexis Gauthier started working at the Hotel Negresco in Nice, France in 1991. 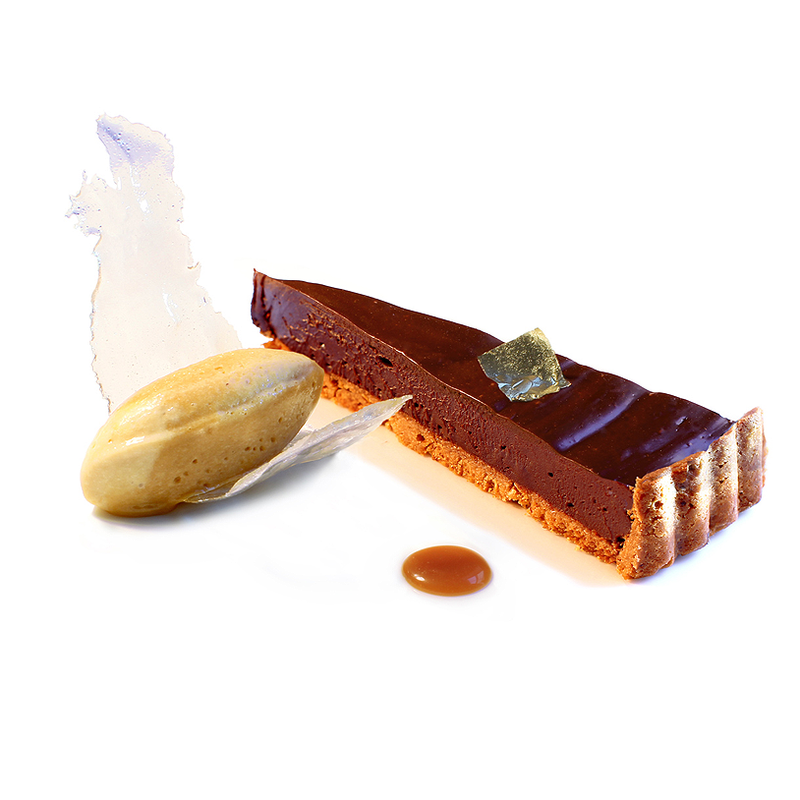 He continued culinary service under Alain Ducasse at his Le Louis XV restaurant in Monaco. From there he became head chef at Roussillon in Pimlico, London, and in 2000, saw the arrival of the restaurant’s first Michelin star. Roussillon also garnered three AA Rosettes, and won the Time Out "Best Vegetarian Award" in both 2000 and 2001. Gauthier left Roussillon in 2010 to establish the new Gauthier Soho. 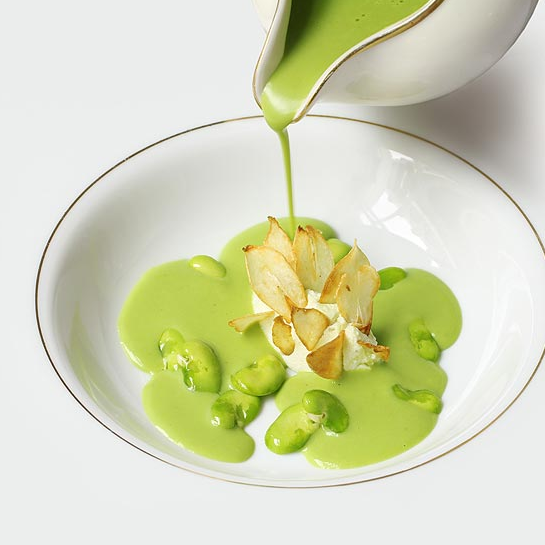 A year after its opening, the new restaurant, too, earned a Michelin star. Butter: “Butter is often the first taste a guest will have in a restaurant,” says Chef Gauthier, “therefore it is crucial the taste and texture is perfect.” Gauthier Soho serves lightly salted classic butter from a small producer in Normandy. Waiters serve the butter covered in green ceramic cones. Chef Gauthier purchased these cones at auction from the now closed Alain Ducasse Plaza Athene restaurant in Paris. Commentary: To this day, Chef Gauthier remembers walking home from school and sensing the wonderful aroma from his mother’s kitchen as she seered steaks in brown butter. “Butter is the ultimate indulgence,” states Chef Gauthier. “Rarely can you find a moment where adding some butter to a dish will not improve it.” Chef Gauthier searches for rare butter made “with milk from cows that have led a happy life, naturally and organically, living outside, eating grass and being relaxed.” This pastoral bliss contributes to richer, more flavorful milk that supplies far more nutrients and enzymes. The well-balanced fats form the basis of a far superior product.